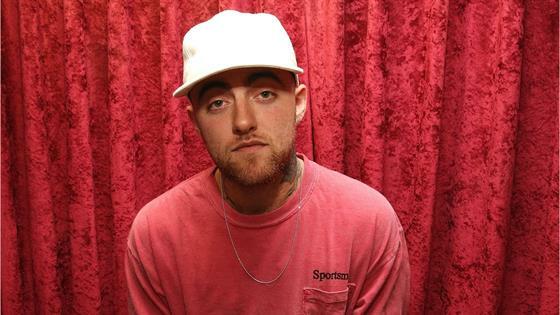 Two months after Mac Miller's shocking passing, the rapper's cause of death has been revealed. The Los Angeles County Department of Medical Examiner—Coroner announced Monday that the artist, née Malcolm McCormick, died from mixed drug toxicity. On Sept. 8, an autopsy was performed and a cause of death was deferred pending further investigation. It was later determined that Miller had died from mixed drug toxicity (fentanyl, cocaine and ethanol). The manner of death was certified as an accident. On Sept. 7, the Los Angeles County Coroner confirmed in a statement that authorities were called to the artist's home in Studio City, Calif. He was pronounced dead at the scene at 11:51 a.m. In the days following his passing, many of Miller's friends and loved ones mourned his death, including his ex-girlfriend Ariana Grande. The "God Is a Woman" singer, who dated Miller for about two years before their split in May, took to Instagram one day after his death to post a tribute to Miller, a black-and-white photo of him staring up at the camera. She later posted a video of Miller from their time together, writing, "i adored you from the day i met you when i was nineteen and i always will. i can't believe you aren't here anymore. i really can't wrap my head around it. we talked about this. so many times. i'm so mad, i'm so sad i don't know what to do. you were my dearest friend. for so long. above anything else. i'm so sorry i couldn't fix or take your pain away. i really wanted to. the kindest, sweetest soul with demons he never deserved. i hope you're okay now. rest." Last week, Travis Scott, John Mayer, SZA, Chance the Rapper, Ty Dolla $ign, Action Bronson, Domo Genesis, Earl Sweatshirt, Vince Staples, ScHoolboy Q, J.I.D, Anderson .PAAK, Thundercat, and more stars gathered at the Greek Theater in Los Angeles to honor Miller with a celebration of life concert. Over the weekend, Grande released a new song, "Thank u next," in which she sings about Miller. "Wish I could say, 'Thank you' to Malcolm / 'Cause he was an angel," Grande sings in the first verse.